A healthy diet can go a long way when it comes to keeping the heart healthy. Salty, high-cholesterol foods that are high in saturated fats can lead to plaque buildup in the arteries, which puts the body at risk for cardiovascular diseases like heart attack, coronary artery disease, and even heart failure. It’s better to choose foods that lower cholesterol and keep arteries healthy and free of plaque. These foods on our list are great options for anyone looking to improve or maintain a healthy heart. Salmon, as well as other fatty fish like tuna and sardines, are filled with omega-3 fatty acids. Omega-3s are a type of healthy unsaturated fat, and they’re great for the heart. Omega-3s help to lower blood pressure and improve blood vessel health. They also reduce the body’s levels of triglycerides, which are a type of fat found in the blood. High levels of triglycerides put the body at risk for cardiovascular disease. Nuts like almonds and walnuts have been shown to provide benefits to heart health. Like fish, nuts contain unsaturated fats which can lower levels of LDL or “bad” cholesterol. LDL is linked to the buildup of plaque in the arteries, which is a major risk factor for cardiovascular disease. By regularly eating healthy, unsalted nuts, this can help prevent heart issues. Oats are rich in soluble fibre, which can help lower LDL cholesterol levels. Fibre soaks up cholesterol in the digestive system and gets rid of it in the stool. Eating oats or other foods rich in fibre is a great way to maintain good intestinal health and keep cholesterol low, but be sure to avoid instant oatmeal with added sugar and go with non-processed oats instead. Blueberries are packed with antioxidants which have been shown to have anti-inflammatory capabilities. They also contain flavonoids, which are plant compounds that may benefit the cardiovascular system. There is evidence that they may reduce the risk of blood clots and plaque buildup in arteries, which keeps the heart healthy. Blueberries also contain fibre, as well as a variety of other healthy nutrients. Whole grains are rich in fibre, which helps lower LDL cholesterol levels. Refined grains, on the other hand, are much less nutritious and have a much lower fibre content. Whole grains also contain phytosterols, which lower cholesterol levels, and phytoestrogens, which improve cardiovascular health. 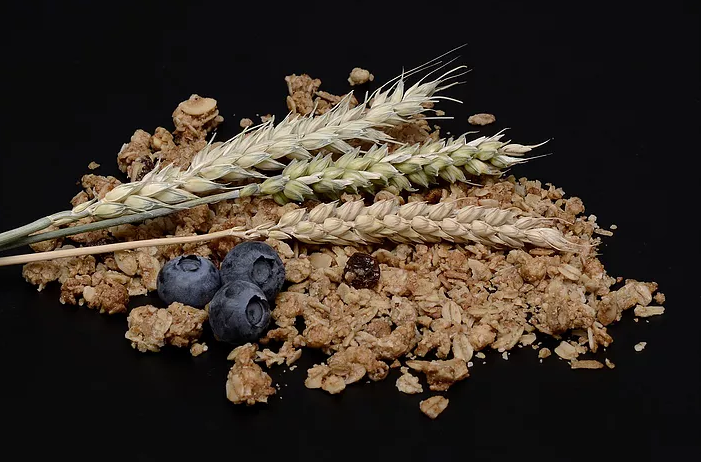 There are plenty of great whole grain options to choose from, including wheat, quinoa, barley, and rice. Avocados are another food filled with healthy, monounsaturated fats that lower LDL levels and promote a healthy heart. They’re also rich in other nutrients including potassium, which helps the heart muscles pump, and B vitamins. Avocados are a great source of healthy fats but are calorie-dense so should be consumed in moderation. Studies have shown that people who drink moderate amounts of any type of alcohol have a decreased risk of heart disease. However, red wine may provide unique benefits for the heart that other types don’t. It contains polyphenol compounds including flavonoids which provide benefits to the cardiovascular system. Drinking more than 1-2 glasses per day can have health risks, so moderation is key. Green tea has been shown to have a variety of health-boosting effects, especially on the cardiovascular system. Studies have shown that the flavonoid compounds in green tea reduce the risk of heart disease and coronary artery disease in people that drink it regularly. It also lowers LDL cholesterol levels and has been shown to keep the blood vessels healthy and prevent clotting so blood can flow freely. Like blueberries, wine, and green tea, the cocoa in dark chocolate contains flavonoids which improve heart health. The higher the cocoa levels, the more flavonoids are in the chocolate, so look for a cocoa content above 70%. Milk chocolate doesn’t provide the same benefits that dark chocolate does. Dark chocolate with saturated fats added via palm oil should be avoided, as these are unhealthy. Another great source of unsaturated fats, extra-virgin olive oil helps lower bad cholesterol and raise good cholesterol. It’s also high in antioxidants which provide additional health benefits. These antioxidants get diluted and lose some effectiveness when refined into lighter olive oils, so extra-virgin is the healthiest option when it comes to heart health. It’s also healthier than other types of oil like palm or coconut oils which contain saturated fats. While it may be tempting to reach for fatty, salty foods, they do much more harm than good. Instead, go for foods that are rich in unsaturated fats, fibre, and other healthy plant compounds. These help to lower the body’s cholesterol levels and keep arteries relaxed, which decreases the risk of plaque buildup and potential heart issues. By eating these heart-healthy foods, this keeps the arteries free of blockage and helps to build a strong, healthy cardiovascular system.